Attending Culture Collide is the easiest and cheapest way to feel like you have been around the world in just four days. When you watch two US bands open a show where groups from Singapore, Argentina and the Netherlands are also on the bill, you start to feel like the most worldly person on the planet. And night after night, numerous different countries were represented under one roof, giving people the opportunity to discover bands that maybe otherwise they would have not come across. 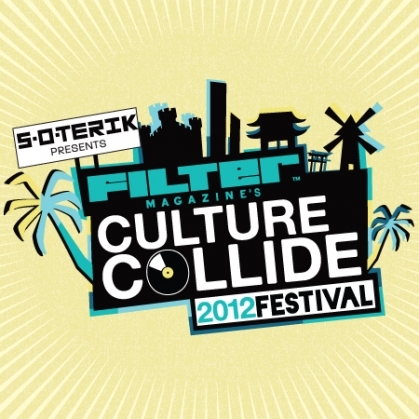 Culture Collide deserves praise for making diversity the rule and not the exception. But if I had one suggestion for this young festival, it is to go beyond the comforts of the indie rock and electronic genres a bit. With bands flying in from countries like Peru and Estonia, it’d be nice to take the cultural schooling up a notch and invite bands who are giving new life to traditional sounds from their native countries. It didn’t take long for American rock n’ roll to start influencing music in other countries, but hopefully a festival like this will help more international sounds infiltrate the US. 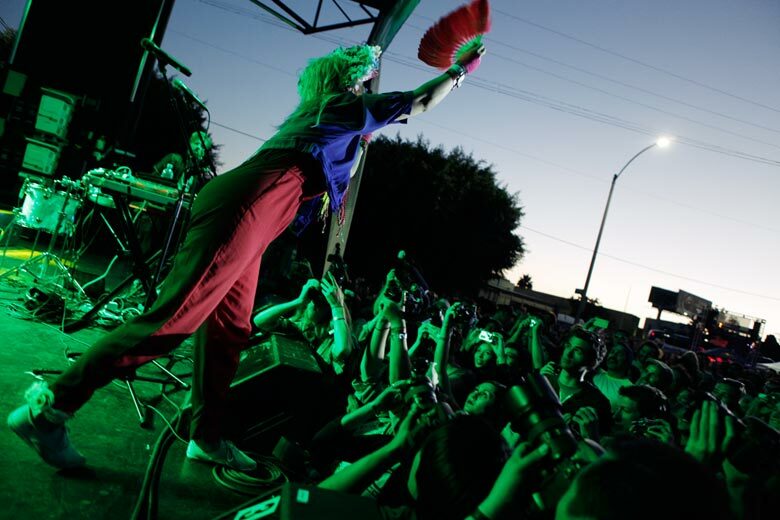 When Brazil’s Bonde do Rolê had to cancel because of visa issues, Los Angeles’ Poolside stepped in to provide some tropical tunes and funky beats. 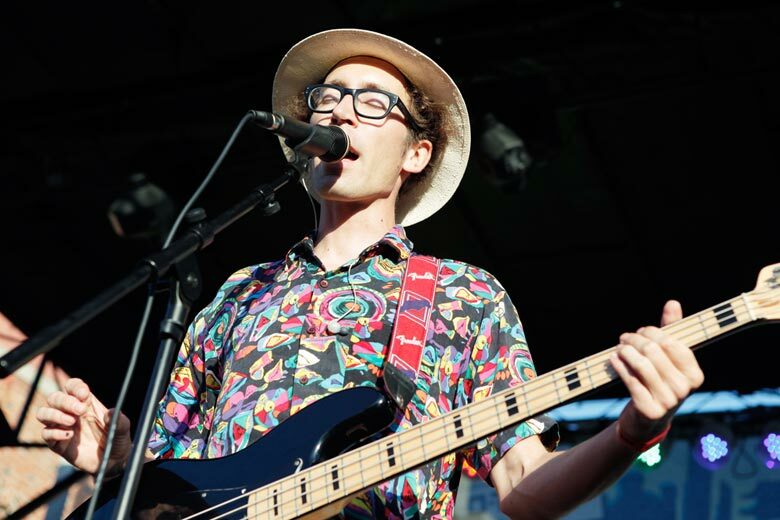 While not as wild as Bonde do Rolê, Poolside were a pleasant addition to the outdoor portion of the festival. With the sun shining, the duo was accompanied by a drummer and second keyboardist, and provided a nice warm up for a full night of dancing. The main stage would later see Niki & The Dove and of Montreal. Instead of taking an aggressive approach to dance music, Poolside provided a relaxed atmosphere with mid-tempo melodies and calming synth lines. Still, you couldn’t help but feel like you were whisked away to some exotic island. While most bands use reverb to create dark and heavy moods, UMO crafted the opposite effect during their closing set at the Taix Champagne Room on Friday night. While the band seemed a bit stand-offish to start, it didn’t take long for the crowd to warm up to them and vice versa. Playing songs off their self-titled album, the trio left a joyful and luminous impression. Songs like “Ffunny Ffriends” and “Thought Ballune” were intricate but bundled with fun melodies that made them easy to digest. On many occasions, vocalist Ruban Nielson thanked the crowd for being there, which made the band even more likable. Besides the music carrying a positive tone, the band members did not hold back when playing their instruments, proving that they are a solid band all around. Although I saw Niki & The Dove perform on both Saturday and Sunday, I still didn’t feel like it was enough. One of the downfalls of festivals are the short 20-30 minute sets. However, the Swedish duo made the best of their time and on both days had the crowds wrapped around their fingers. The electro beats were irresistible and had everyone dancing from start to finish while asking for more at the end. From the hair to the high energy, vocalist Malin Dahlström brought to mind ’80s icons like Deborah Harry of Blondie. Additionally, what made Niki & The Dove’s set outstanding is that they went beyond the recorded music that can be heard on their album Instinct. On songs like “The Drummer” and “Somebody”, there were small surprise adornments, and at times it even seemed like the songs went into remix mode, making the live performance sound unique. Admiral Fallow were a charming bunch from Glasgow that got better and better as the night progressed. In addition to interchanging male and female vocals and the usual guitar, bass, drums, piano setup, the group also threw in some clarinet and flute, which made it difficult for one to not smile during their set. From their latest release, Tree Bursts in Snow, Admiral Fallow played the songs “Isn’t This World Enough” and “Brother”, showing that music can be both delicate and grandiose at the same time. If there was a way to entertain all five senses with a live show, I’m sure that of Montreal would be the first to do it. But for now, they just keep fascinating crowds through audio and visuals. Between hearing fan favorites like “Bunny Ain’t No Kind Of Rider” and “Wraith Pinned to the Mist and Other Games”, the Culture Collide crowd witnessed a group of characters running around the stage. At one point there were three people draped with white sheets and releasing a bundle of balloons into the crowd. One minute later, they were dressed up as wrestlers and knocking each other down on stage. During all the commotion, of Montreal didn’t miss a beat once. Kevin Barnes and his bandmates were dressed in ’60s garb and playing as if there was no spectacle behind them. Though some may have thought that the visual performances were distracting, they were all part of the zany art form that made of Montreal so great. And to show that anything can happen at of Montreal show, the night ended with two Spidermen crowdsurfing.